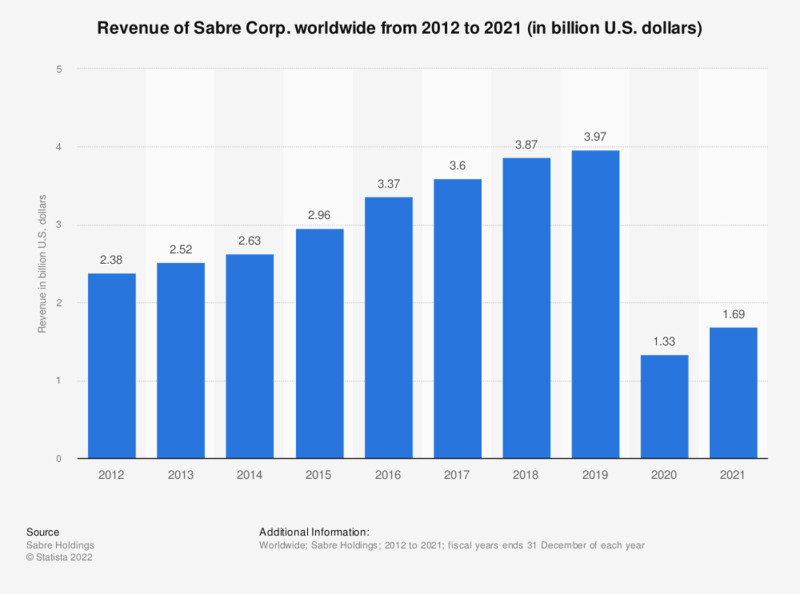 This statistic shows the annual worldwide revenue of Sabre Corporation from 2012 to 2017. In 2017, the corporation generated 3.6 billion U.S. dollars in revenue, up from 3.37 billion U.S. dollars the previous year. In 2017, the revenue of Amadeus, one of Sabre's largest competitors, reached 5.81 billion U.S. dollars.